We just cleared a big hurdle to immortality. 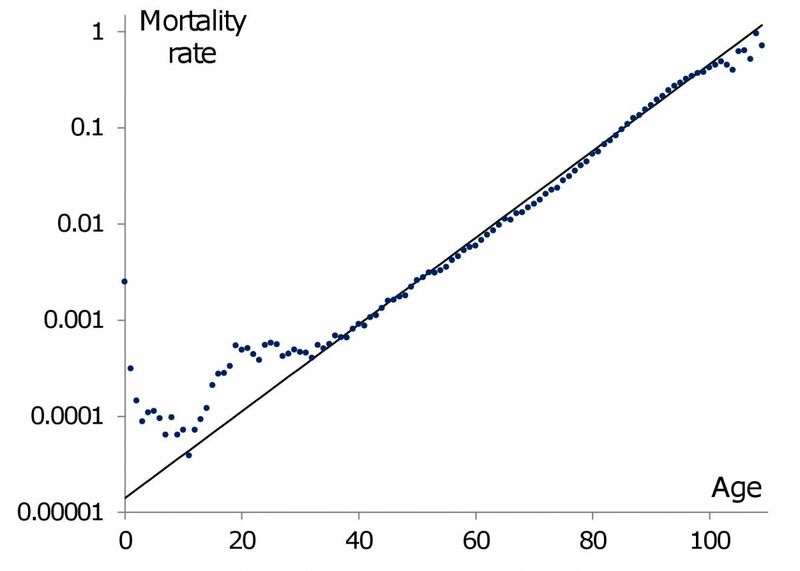 The scientific team of biotech company Gero recently published a study in the Journal of Theoretical Biology that debunks a long-held misconception regarding two parameters of the Gompertz mortality law — a mortality model that represents human death as the sum of two components that exponentially increases with age. The Gero team studied what’s called the Strehler-Mildvan (SM) correlation and found no real biological reasoning behind it, despite having been held true for more than a half a century now. The Gero team, however, realized that the SM correlation is a flawed assumption. Instead of using machine learning techniques for anti-aging therapy design, the researchers relied on an evidence-based science approach. Peter Fedichev and his team tried to determine the physical processes behind the SM correlation. In doing so, they realized the fundamental discrepancy between analytical considerations and the possibility of SM correlation. “We worked through the entire life histories of thousands of C. elegans that were genetically identical, and the results showed that this correlation was indeed a pure fitting artifact,” Fedichev said in a press release. Other studies have questioned the validity of the SM correlation, but in their published study, Fedichev and his team were able to show how the SM correlation arises naturally as “a degenerate manifold of Gompertz fit.” This suggests that, instead of understanding SM correlation as a biological fact, it is really an artifactual property of the fit. This discovery is particularly relevant now as more and more scientists are coming to the conclusion that aging is a disease and, as such, could be treated. They are working hard to find ways to extend human life, and many of these anti-aging studies are yielding curious developments. “Elimination of SM correlation from theories of aging is good news, because if it was not just negative correlation between Gompertz parameters, but the real dependence, it would have banned optimal anti-aging interventions and limited human possibilities to life extension,” Fedichev explained. In order words, human life extension has no definitive limit.